Popularly known as Ramban (after the initials of his name) and as Nachmanides, (Greek for "son of Nachman"). Halachist, commentator, philosopher. The Ramban's soul was from a very high level. In Shaar HaGilgulim (hakdama 36) of Rabbi Yitzchak Luria, the ARI he states, "The Rambam (1135-1204) is from the left sideburn, therefore he did not merit to know the wisdom of the Zohar, but the Ramban (Rabbi Moshe ben Nachman) is from the right sideburn and therefore he merited to know the wisdom of the Zohar. 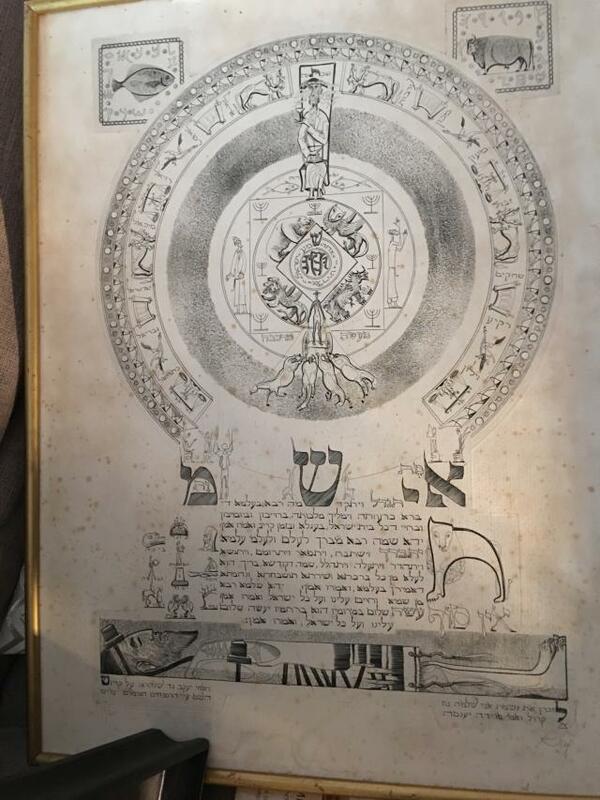 The Ari also testifies to the depth and reliability of the mystical portion of Ramban's Torah commentary, and considers Ramban the last of the ancient Kabbalistic school, who received direct transmission of the mystical secrets that were later concealed. Scion of a renowned rabbinical family, a relative of Rabbi Yonah of Gerona, Ramban studied under R' Yehudah ben Yakar and R' Natan ben Meir. His mentors in Kabbalah were were R' Ezra and R' Ezriel, both of Gerona. He also studied medicine, which he practiced professionally, languages and physics. Ramban personifies the best and noblest in Spanish Jewry. Most of the Ramban's life was spent in Gerona disseminating Torah to his many disciples. He was acknowledged as the foremost halachic authority in all of Spain, and his decisions were respected in other countries as well. 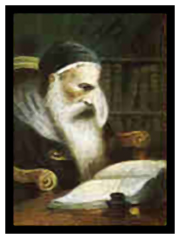 In 1238, Ramban was called upon to voice his opinion concerning the great controversy regarding Rambam's works. In response, he praised the scholarship of Rabbi Shlomo of Montpellier, who headed the opposition to Rambam, and severely chastised all who would insult this great Talmudist for his zeal. At the same time, Ramban also sought to still the vehemence of Rambam's opponents by pointing out that Misneh Torah shows no leniency in interpretating Halachah, and is sometimes quite strict. As to Rambam's Moreh Nevuchim ("Guide of the Perplexed"), Ramban explains that it was not intended for public use, but only for those who had been led astray by philosophy. He also pointed out that while Moreh Nevuchim might be unnecessary and even injurious to the Jews of France and Germany, it was of vital necessity to the philosophical oriented Sephardic community of Spain. Accordingly, he beseeched the promulgators of the ban to revoke it, permitting the study of the Moreh Nevuchim and the philosophical sections of Sefer MaMada in the Misneh Torah. 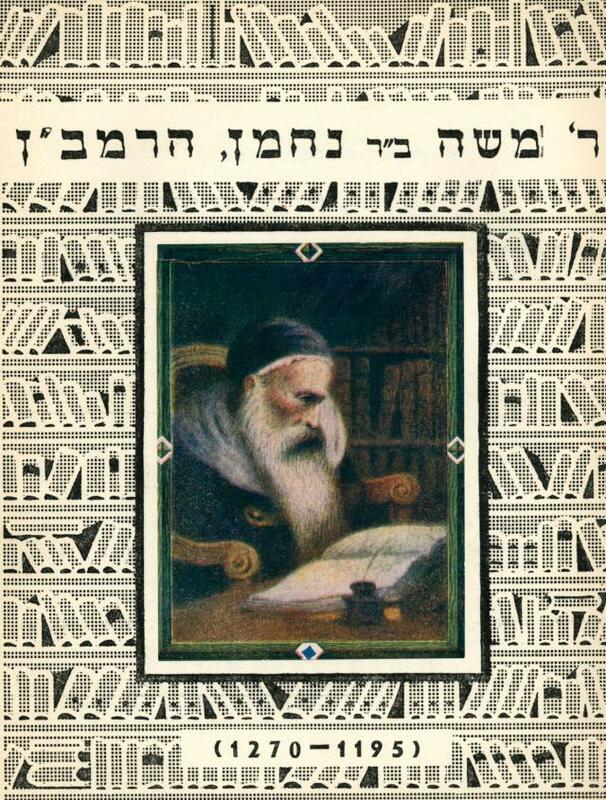 Ramban wrote novellae (chidushim) on most of the Talmud in the style of the Tosafists. His other works include: Torat HaAdam, a compendium of laws of mourning climaxing with Shaar HaGemul, a treatise discussing reward and punishment and the resurrection of the dead; Iggeret Mussar, an ethical epistle addressed to his son; Sefer HaGeulah on the coming of Mashiach; a commentary on Iyov (Job); Mishpat HaCherem, on the laws of excommunication, which was printed Kol Bo; Hilchot Bedikah on laws governing the examination of the animal's lungs after ritual slaughter; Hilchot Challah; and Hilchot Niddah (printed with his chiddushim to Tractate Niddah). A kabbalistic treatise HaEmunah VeHaBitachon and Iggeret HaKodesh; on the sanctity and significance of marriage are ascribed to him, but this is disputed. In 1263, King James of Aragon forced Ramban to hold a public religious dispute with the Jewish apostate Pablo Christiani. In the presence of King James and many dignitaries and clerics, Ramban completely demolished his opponent with the logic of his arguments. In admiration, the King rewarded the victorious Ramban with a gift of 300 coins. The fanatical Dominican priests, however began to spread the rumor that their side had won the debate. Ramban responded by publishing an exact account of the questions and answers used in the dispute, under the title Sefer HaVichuach. The clerics then charged him with humiliating the Catholic religion. Ramban admitted the charge, but contended that he had only written what he said during the disputation in the presence of the king, who had granted him freedom of speech. Nevertheless, Sefer HaVichuach was condemned to be burnt and Ramban was expelled from Aragon. For three years, Ramban sojourned in Castille of Provence, where he began writing his monumental Torah Commentary, unique in that it not only interprets the verses, but also analyzes the topics, presenting them in a Torah Perspective. Intermingled with aggadic and kabbalistic interpretations are careful examinations of other commentaries, especially Rambam and Ibn Ezra, whom the Ramban severely criticizes for an over rational approach which, in his opinion, deviated from the true Talmudic and kabbalistic interpretations. Ramban also frequently disagrees with Rashi's rendering, and such later authors as Mizrachi and Maharal wrote rebuttals defending Rashi. Ramban's Commentary on the Torah is studied widely. It is printed in all editions of Mikraot Gedolot. In 1267, at age 72, Ramban decided to settled in Eretz Yisrael. Before departing, he gave a dissertation on Ecclesiastes, lauding the Holy Land and the precept of charity. After a difficult journey and much suffering, Ramban arrived in Acco in Elul, 1267. He spent Rosh HaShanah in Jerusalem, which was is a deplorable condition as a result of the havoc wrought by the Crusaders. Ramban designated a desolate house as a synagogue, and brought in a Torah scroll from Shechem. In this synagogue he gave a drasha on the laws of Shofar, and exhorted the inhabitants of Israel to be exceedingly careful that their actions be righteous, for they are like servants in the King's palace. 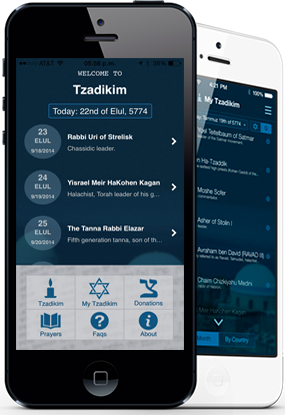 With Rambam's help the Jewish community in Jerusalem, which had all but ceased to exist, began its revival. Ramban himself settled in Acco, a Torah center at the time, and gathered about him a circle of pupils. Here he completed his Torah commentary. He kept in close contact with his family in Spain, telling them of conditions in the Holy Land. Various opinions place Ramban's burial site at Hebron, near the cave of Machpelah, Haifa, Acco, or Jerusalem. The Rivash (Rabbi Yitzchak ben Sheset Perfet), writes of him, "All his words are like sparks of fire, and the entire communities of Castille rely upon his halachic ruling as if given directly from the Almighty to Moshe Rabeinu." May the merit of the tzaddik Rabbi Moshe Ben Nachman protect us all, Amen.